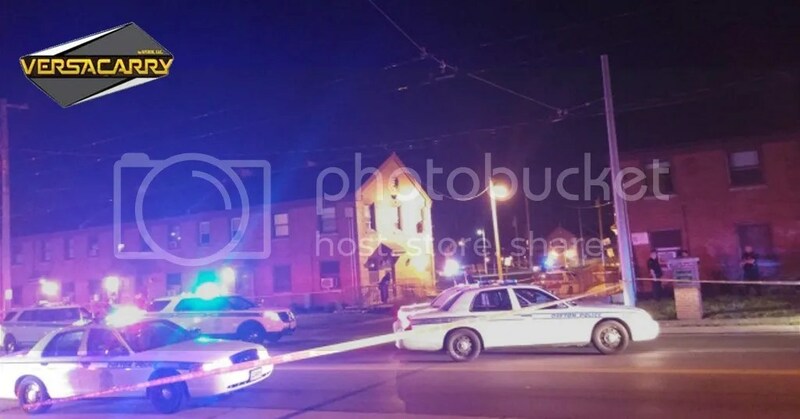 DAYTON, Ohio (WDTN) — One person is in custody following an officer-involved shooting in Dayton. Dayton Police were called to the area of the DeSoto Bass Apartments on Germantown Street just after 10 p.m. Friday. At the time, they were following up on a robbery compliant they received involving four suspects that committed an armed robbery Thursday night. Police said as they approached the group of suspects, one pulled out a gun. Officers said they chased the armed suspect around a few buildings in the apartment complex, ordering him several times to drop his weapon. After he refused to comply, police then attempted to use a Taser on the suspect but missed. Officials said the suspect then pointed the gun at the officer, and the officer shot several times at the suspect. The incident prompted a “signal 99,” which means officers needed backup. The suspect was not hit by any bullets. Police found the suspect in the apartment complex just moments after the shooting. They took him into custody and recovered a handgun. Police said the suspect is a 29-year-old man, but aren’t releasing his name at this time. Police said he’s facing possible charges of felonious assault on a police officer, as well as weapons charges. The charges are being reviewed by the prosecutor’s office. Police said the officer who fired shots at the suspect will be on paid leave as protocol pending the investigation.